Like living on the Edge? 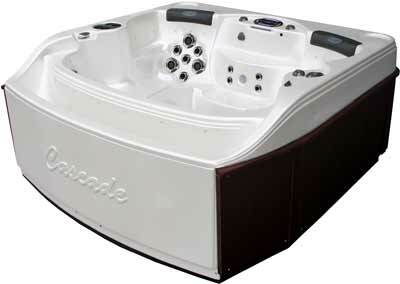 You'll love our world's first " Vanishing Edge" design hot tub. The water surface drops clean away, leaving you with an unobstructed vista of water and sky. The Cascade I is perfect for romantics - especially if your backyard overlooks scenery you'd like to see a little more of. This double lounger offers couples time to enjoy each others company and get reacquainted. 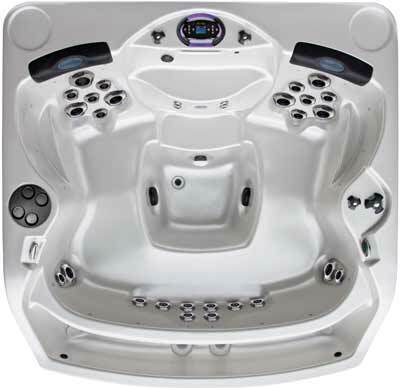 Loaded with every feature imaginable the Cascade has the most powerful pumps in the industry, the best in water management and purification, and hydrotherapy massage.